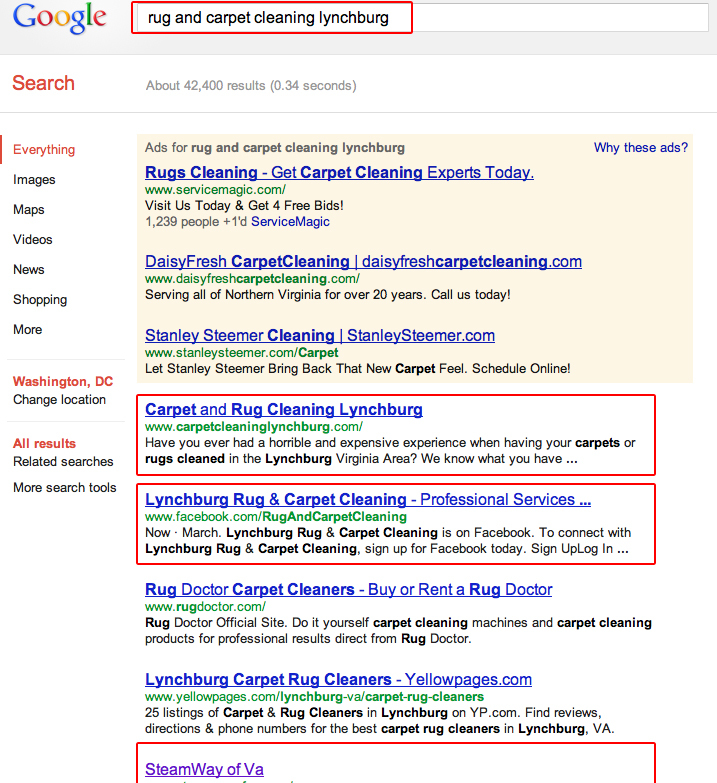 Here’s a screenshot from today of local search results for a recent client who came to us for training. After only a couple of weeks, here are the results of just a part of comprehensive, social media machine that we’re instructing our client on how to assemble. They show up 1st, 2nd and 5th for their keywords – INCLUDING THEIR LOCAL AREA. Also note that a facebook page is the second result. How? That’s the Synergy of Multiple Media – and it works.